pet air | Where is Jack? Who Is Jack the Cat? In mid-May, United Airlines announced several new travel policies that were ostensibly aimed at making pets safer when they travel. Among their new policies is a “summer travel ban” – from May to October every year, pets will no longer be allowed to fly as baggage or cargo to Las Vegas, Palm Springs, Phoenix or Tucson. Why? High temperatures at these locations put pets who aren’t in cabin at risk of becoming sick or dying from heat-related causes. Seems like the United is doing the right thing for animals, doesn’t it? We should give them a big round of applause, right? United (and American Airlines, and Delta) all have some restrictions on certain airports during specific seasons. American won’t fly baggage/cargo pets into the same four airlines that United prohibits during the summer months. Delta is concerned about summer travel, but also pays attention to winter temps, and refuses to fly pets into Jackson Hole, Wyoming and Sun Valley or Twin Falls, Idaho during the winter months. But what all three major U.S. airlines fail to adequately address is that each of them has hubs that are subject to extreme temperatures. And many animals end up being subject to these extreme temperatures on their journeys. And many animals become ill, or do not survive their journeys through the hubs. Cities like Miami (American Airlines) and Atlanta (Delta) are regularly hot, hot, hot and HUMID during the summer months. And United’s hub in Houston is often brutally hot – and has been the scene of many, many cases of heat-related injury and death. (Including one that is very personal to me, my friend Michael Jarboe’s dog Bam-Bam. We covered this extensively on our Facebook page shortly after it happened in 2012). On the cold side, Delta’s hubs at Minneapolis and Detroit are notable for their freezing temps, as are American’s and United’s hubs at O’Hare. Cases of animals dying from the cold while in the care of the airlines are more rare than heat related deaths, but are not unheard of. Here’s the bottom line: if airlines REALLY wanted to make sure animals were safe, they wouldn’t allow them to fly through places like Houston or Miami in the summer, or Chicago or Detroit in the winter. But that simply isn’t going to happen. The “hub” system means that it is almost impossible to fly from Point A to Point B in the U.S. without going through a hub unless you happen to be going directly between two heavily travelled cities – like New York to Los Angeles. (Here’s United’s route map… note the very large number of route lines going into and out of the hub cities, which are printed in red.) The vast majority of flights go through hub cities. And if your pet is going to be in cargo or checked baggage, then your pet will have to deal with the weather condition in the hub. Yes – I know that all the airlines have policies that say if the temperature is above or below a certain threshold at any point in your pet’s journey, the pet will not be transported. I also know the airlines routinely violate their own policies. And I also know that animals get very sick and often die because of these violations. An airline like United saying it won’t fly pets into Palm Springs during the summer doesn’t impress me. United’s flight schedule reveals only ten flights per weekday go into Palm Springs. Compare that with over 400 flights per day going into or out of Houston. Has United really made the dogs and cats in their care a priority this summer? I don’t think so. And neither has Delta, or American Airlines. But they have made a gesture that lets a willing customer think they care. The animals are counting on you to pay attention to these types of corporate shenanigans. Their lives depend on your discernment. PS… Please spread the word about this! If you have a friend, colleague, neighbor or acquaintance who is thinking about flying with a pet this summer, please show them this post, and then tell them I would be happy to help them find a way to get their fur baby to their destination. I’m available at 305-582-5884 and if I can’t take their call right away, I’ll get back to them within an hour or two. Let’s keep the animals safe this summer!! Categories: air travel for cats, air travel for dogs, air travel with cats, air travel with dogs, airline approved dog carriers, airline approved pet carriers, cat flight, dog flight, flying with a cat, flying with a dog, flying with a pet, pet air, pet air travel, pet airways, pet cargo, pet carrier, pet flight, pet transportation by air, pet travel, traveling with pets | Permalink. This is the conclusion of a 4-part series. Click on Part 1 – Part 2 – Part 3. Jack’s legacy has always been NEVER AGAIN. Anyone who was touched by Jack’s story wants to make sure that pets are never lost, injured or killed while in the care of the airlines. Making that promise come true means that we need to get the message out there – no matter what the airlines say, your pet IS NOT SAFE in their care. The airlines – and even some people — will dispute this. “Thousands of dogs and cats fly every year. There are only a few problems. Accidents happen.” Fair enough – accidents do happen. I highly doubt any parent would tolerate this behavior – much less think the babysitter was acting in an acceptable manner. How about this: fyou leave your child with a babysitter, and the child drowns while getting his or her bath. Unless the babysitter is a psychopath, it was probably an accident. Is that ok? Would you leave your other children with that babysitter? Probably not. Should your friends leave their children with that babysitter? Again – most parents would probably say that sitter is not trustworthy. And what if, upon your return home to find your child dead, the babysitter said “I watch thousands of children every year and this hardly ever happens. Sorry about that. You don’t have to pay for my services this evening.” Would you feel any better then? Yet, this is what happens to dogs and cats – our fur children – with frightening regularity when they are left in the “care” of the airlines. As far as Where Is Jack? Inc. is concerned — this means YOUR DOG OR CAT IS NOT SAFE IN THE CARE OF THE AIRLINES. Period. We need to get this message out to our three target groups: people who enter their dogs in dog shows; people who enter their cats in cat shows; and people who are moving. We need to increase our social media presence. When we started in 2011, Facebook was on the rise, and we had great success getting our message out just using Facebook. (We tweeted a bit, but that never really took hold.) YouTube was still a fairly small presence – and we had no video experience anyway. Podcasting, Pinterest and Instagram were literally in their infancy. If Jack was lost today, it would be almost impossible to get the visibility our Facebook page was able to get in 2011 – unless we pumped some serious cash into it. Social media is always changing and we need to expand our presence across the channels. Other social media platforms: Vine, Snapchat, Beme… are there other platforms we should be tuned into? The good news is this is all do-able. The even better news – there is something everyone who cares can do right now… every day!! I talk about air travel safety for animals EVERY SINGLE DAY. I talk about it with veterinarians; with people walking their dog; with friends who are about to go on vacation (I don’t care that they aren’t taking their cat with them – I want them to know there are probably animals underneath them on the plane). I talk about air travel safety for animals with my barista at Starbucks, and sometimes with the waitstaff when I go out to dinner. I talk about air travel safety for animals with anyone who will listen. If Jack’s legacy is going to become a reality, it is going to take an army – the army that came into existence after Jack went missing. That army is you: the Friends of Jack (FoJs). Jack needs you to keep your energy behind this issue. You can talk to anyone and it could make a difference in a dog or cat’s life! Talk to your friends, your family, your vet, your co-workers, your neighbors, your grocery store clerks, your gas station attendant… anyone and everyone you meet! Can you take a moment and talk about Jack and about air travel safety for animals today?? Can you do that every day? Or at least a couple times every week? If one fluffy orange-y cat could make this much of a difference, imagine what you could do. Thank you in advance. Thanks to all the FoJs… whether you’ve been around since the beginning or you just joined us. You matter. More than you’ll ever know. Let’s get out there and DO THIS!!!!!!! Categories: air travel for cats, air travel for dogs, air travel ofr cats, air travel with cats, air travel with dogs, airline approved dog carriers, airline approved pet carriers, cat flight, dog flight, flying with a cat, flying with a dog, flying with a pet, pet air, pet air travel, pet airways, pet cargo, pet carrier, pet flight, pet transportation by air, pet travel, traveling with pets, Uncategorized | Permalink. This is Part 3 of a 4-part series… Read Part 1 and Part 2! There are no government or other penalties in place that would encourage an airline or airport to respond effectively to a lost animal. It became clear that fulfilling Jack’s legacy – that what happened to him should never happen again – could be attempted in a wide range of different ways. And none were particularly simple. For a while, we had all of these areas moving forward just a little bit – AND we were helping pet parents whose furry family member had been lost as a result of airline incompetence. It was a lot to deal with! All the while, I kept thinking that attempting to deal with the airlines and/or airports was pointless. From their perspective, we were just a bunch of crazy ladies who were overly concerned about animals. No amount of battering in the media seemed to bother them. And we definitely could not give them anything they cared about (read: enough MONEY) to have them change their policies and procedures. And that is probably why I got a bit burnt out: I was fighting a fight I really didn’t see how we could win. So that is why I am now convinced it is important to FOCUS and not be distracted by all the other ways we possibly could go about fulfilling Jack’s legacy. Dog and cat show people travel with their pets often – sometimes every weekend. And while many times they are traveling by car, they are also likely to have to travel with their pet by plane at least a few times per year. Though it would seem that these folks would be less likely to need any further information, even the most prized animals have been subject to airline incompetence – Vivi being the most memorable of these cases. People who are moving have no choice but to move their pet with them. (And yes – I do know that the number one reason pets are surrendered to shelter is “moving.” That is a different discussion for a different day.) Karen never would have chosen to fly with Jack and Barry if she wasn’t moving. People who are moving may have never traveled with their pet before. Helping them insure the safety of their pet makes the move less stressful for the whole family. There is one more obvious group that I haven’t mentioned as a targeted group: people going on vacation and taking their pet. This is a particularly difficult group to reach, since placing ads on the travel websites won’t really work because the major airlines all require pet parents to call them directly to book a pet to fly. We make our website easily accessible to people traveling with pets by insuring it meets Google’s indexing requirements, but until we have a substantial marketing budget, people vacationing with their pets will not be a major focus area. Indeed, targeted education for the three groups I mentioned is itself a large undertaking – but our success working in these areas will allow us to move forward with credibility and knowing that we are making a difference. And that will allow us to continue to grow and better serve pet parents who are flying with their dog or cat for whatever reason. One final note: we will ALWAYS continue to help in situations where a dog or cat has been lost on airport property. I have gotten calls about lost animals from as far away as Qatar. Search and rescue missions outside the U.S. and Canada are very difficult for us to help with, because we don’t know the laws of the country and we may not have any contacts to help us. But we are pretty well-versed in what to do at American airports, and we are always willing to do what we can to help in any lost cat or dog situation anywhere in the world. Categories: air travel for cats, air travel for dogs, air travel ofr cats, air travel with cats, air travel with dogs, airline approved dog carriers, airline approved pet carriers, cat flight, dog flight, flying with a cat, flying with a dog, flying with a pet, pet air, pet air travel, pet airways, pet cargo, pet carrier, pet flight, pet transportation by air, pet travel, traveling with pets | Permalink. This is the 2nd in a 4-part series. Catch up on the back story… Read Part 1. So I wallowed a bit. More than a bit – a lot bit. For months I wallowed… wondering why bother? And yet stuff was happening. Little stuff. I saw things on the web and thought… I should post that on the Jack page. But I didn’t. I heard about incidents out in the world and thought… I should blog about that. But I didn’t. And then I went to this event and I heard about the incredible sense of despair people feel when they’re not doing what they know they should be doing with their short, precious life. And I knew that was what I was feeling. It wasn’t the despair of being unable to do anything. It was the despair of being unwilling to do what I knew I could do. I had been having a temper tantrum. And it had to stop!! So the airlines wouldn’t play nice – was I really that surprised? That was no reason to stop doing what I knew I could do. More importantly, it was no reason to stop DOING WHAT I KNEW I HAD TO DO. I had known since the beginning that educating pet parents was going to be an important part of our mission. And yet, in a certain way, it seemed so INEFFICIENT. After all, there were hundreds of thousands of pets flying by plane every year – and really only a handful of airlines (primarily just THREE) doing the flying. It just seemed like it would be so much easier if we could just get the airlines to do their job properly. Is it efficient – or EASY – to try to work with people who simply don’t want to hear what you have to say?? DING DING DING – bells were going off. And for the first time in a quite a while, I felt the spark. I knew what had to be done. First and foremost – we had to educate pet parents about the dangers of flying with animals. And if that was all we did, so be it. Karen never would have let Jack and Barry go under the plane if she had known the danger they were in. We had talked about it, and I had some vague idea of the problem, but I didn’t know enough to talk her out of it. After all, AA swore up and down the kitties would be safe. They transported tens of thousands of animals every year with no problem, right? Yeah sure. Tell that to the kitty who was in the ceiling at JFK for 61 days. Tell that to Karen. Tell that to the thousands of people who followed Jack’s story. Educating pet parents is the best chance we have to fulfill Jack’s legacy. I knew we had had some success at this already – people had contacted me by phone, through this blog and through our Facebook page to ask questions, to use the materials we had available, and to tell us that what were we doing either helped them keep their pet safe when they flew – or in many cases, to tell me that they had decided to forego flying all together. The key was EDUCATION. And we needed to be doing A LOT MORE OF IT. And to make that happen, we needed a plan. This is the first of a four-part series. Read Part 2 here. It all started in 2011: Jack was lost by American Airlines on August 25. Two excruciatingly long months later, Jack was “found” when he fell through the ceiling of the Customs and Border Patrol Office in the AA terminal at JFK. Then after 12 days, he had to be humanely euthanized because he didn’t have the strength to heal his wounds. I thought that was as low as things could go. I was heartbroken – but I vowed to work hard to keep what had happened to Jack from happening again. I knew it would be a battle, but it seemed like a worthwhile fight. Most importantly – it seemed like a fight that could be won. After all – we didn’t want anything from the airlines but for them to fulfill the responsibilities they had assumed when they agreed to fly pets. Of course it wasn’t as simple as “getting the airlines to fulfill their responsibilities.” But that was alright – it would be more work than anyone originally thought, but the mission was still do-able. We could work with sub-contracted baggage handlers. We could work with airports. We could work with pet parents.We could DO THIS! Jack’s legacy would be fulfilled!! And then the incidents kept coming. Xiaowha – never found, but we learned so much. Tosha – found and reunited with her family. Cats and dogs lost in and around airports in New York, Seattle, San Diego, Edmonton, Atlanta, Philadelphia, Trenton. We helped as best we could. Some were found and reunited with their families. Some crossed over the Bridge. Every time was an emergency. And every time was exhausting. On top of working to find lost animals, we were also working to fix “the system.” We presented information to the management team at JFK to help them respond effectively when an animal is lost on the property. We filed with the Department of Transportation when they asked for comments about their proposed rule change (a change we supported, though we didn’t think it went far enough). And we sent information to vets across the nation about the dangers of flying a pet as cargo/checked baggage – because all pets have to have a veterinary health certificate issued not more than 30 days before flying. And there was a moment of satisfaction – the Department of Transportation did create a new rule that required airlines to report ALL domestic animals that were lost, injured or killed while in their care. This was a small – but significant – victory. No longer would dogs and cats shipped by breeders or for other commercial purposes not count. Their lives would matter just as much as an animal traveling with his or her family. But then it happened. Just months after the new rule went into effect, Delta announced it would no longer be accepting pets as “checked baggage” – they would be flying as “cargo.” This meant that “animal incidents” would not have to be counted, because they were no longer part of the passenger air travel system. “Cargo” is a different category of transport than “luggage.” United followed suit with their “PetSafe” program soon after. The minimal amount of accountability we had fought to secure was now undermined. And there it was: the bottom line. The airlines would always find a way to make the rules work for them, so they could continue to say what the public wanted to hear, and continue to make money for their C-suite inhabitants and shareholders. No animal’s life would ever be as important as bringing in the dollars. This absolutely kicked me to the curb. I was ready to give up. I felt as though we were fighting a game that couldn’t be won. The airlines would effectively work around the rules of the game any time they wanted. And there was no one to hold them accountable when they did lost, injured or killed an animal in their care. Where Is Jack? is the only entity in the country (that I am aware of) that is working to make air travel safe for pets. We simply did not have the stick – or even the carrot – that would make it possible to beat the airlines at their own game. If I kept going at this in this way, it was going to kill me. I thought maybe we were done. It all seemed too sad. And why am I telling you this? So that you will understand that nothing ended when Jack crossed the Bridge. Jack was just the very very beginning of the story. Delta Airlines announced this past week that they will no longer accept pets as checked baggage. All of us who care about the safety of pets on planes should be jumping for joy, right? This is going to keep animals out of the area below the plane and make them much safer, right? Made it impossible for pet parents to travel on the same flight with their pet if that pet cannot be transported in the plane with them. Excused itself from having to report deaths/injuries/losses of pets. Animals traveling on designated CARGO flights do not have to be reported to the Department of Transportation each month. Delta will now have virtually NO PUBLIC ACCOUNTABILITY regarding its treatment of pets. This is heartbreaking. After waiting over two years for the new DoT rules that required airlines to more fully report animal incidents to be implemented, Delta has now found a way to get around the “problem” of more honestly accounting for their treatment of animals. The three major carriers (Delta, United and American Airlines) have all made it crystal clear that they do not actually care about the animals they transport – they just want to make sure they aren’t harassed about the losses, injuries and deaths, which they consider a “minor” problem. Of course, this may change quickly if it is expedient. As the article and Delta’s own website mention, they do not allow snub-nosed and “bully breeds” to travel on passenger flights. Yet Delta itself reported incidents involving not one but TWO American Bulldogs just during the month of September of this year (see lines 492 and 494). Delta doesn’t seem to follow its own policies, so who knows what could actually happen. While Where Is Jack? Inc. continues to advocate for change in both government regulations and airline industry standards, the best way to keep animals safe today is education: please share this post, and spread the word to anyone you know who is considering flying with a pet who cannot be accommodated in the plane: DON’T LET YOUR PET FLY WITHOUT YOUR DIRECT SUPERVISION. Ever. Not as checked baggage. Not as cargo. Not under any circumstances, ever. 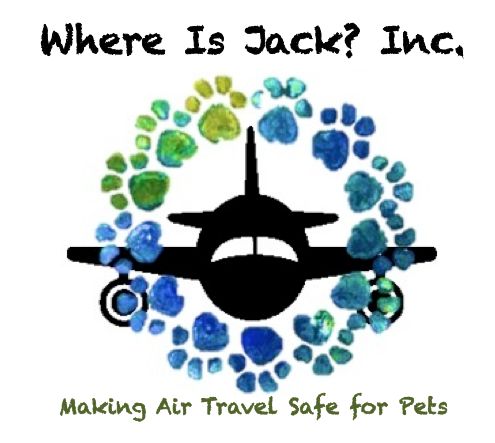 If you or someone you know is facing a situation (like a move) where it seems that it will be impossible to get from Point A to Point B without putting your pet in the hands of the airlines, please contact us here at Where Is Jack? Inc. CEO/Founder Mary Beth Melchior, Ph.D. is available to brainstorm ideas, and our team wants to help anyway we can. Contact us via phone at 305-582-5884 or email at MaryBeth@whereisjack.org. Spread the word, Friends. We can’t let what happened to Jack keep happening. Let’s keep our pets out of the airlines hands!! Categories: air travel for cats, air travel for dogs, air travel with cats, air travel with dogs, airline approved dog carriers, airline approved pet carriers, cat flight, dog flight, flying with a cat, flying with a dog, flying with a pet, pet air, pet air travel, pet airways, pet cargo, pet carrier, pet flight, pet transportation by air, pet travel, traveling with pets, Uncategorized | Permalink. Rudy before he was shipped. 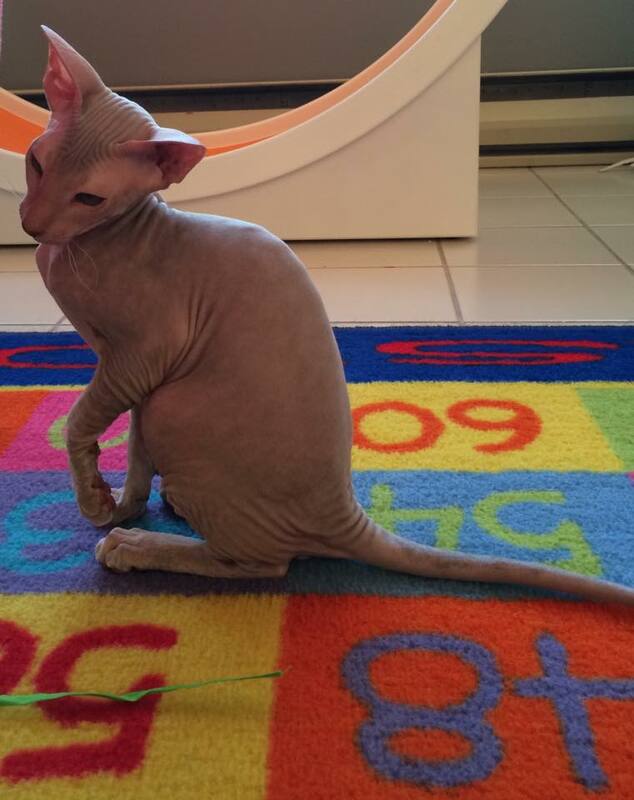 Photo via Peterbald Kittens Canada on Facebook. 1. Where Is Jack? Inc. exists to advocate on behalf of all animals who have been lost, injured or killed while in the hands of the airlines. This happens without regard to the animal’s history, temperament, age, or any other condition. Any creature that is in the care of the airline (meaning being shipped as cargo or checked baggage) deserves to be handled with dignity and respect. PERIOD. And we are here to help them when they are in need. Selling a cat to a person on the diagonally opposite side of the continent does not, in my view, constitute something that must happen. And if it is something that does happen, the responsible thing to do is for someone to FLY WITH THAT KITTEN UNDER THE SEAT. The only reason Rudy was shipped as cargo was because it was convenient for both the seller and the purchaser. But was it convenient for Rudy? Lost for three days in ATL? I don’t think so. And more importantly, it wasn’t fair to him – NOT FAIR AT ALL. There are responsible breeders out there who do not allow their animals to travel alone, and who do not even allow an animal to stay in a home they haven’t personally checked themselves. If you are dedicated to a particular breed of animal, find a RESPONSIBLE breeder. And if you can’t find that breeder, we’ll help you. But DON’T ship an animal by air alone unless it’s an absolute emergency! 3. Delta understood that they had to make finding Rudy a priority. Kudos! When Jack got lost and I called the folks at American Airlines at JFK, they said “don’t worry – the last time this happened we starved him out and found him in about a month.” AAAAARGH!!!! Nothing like that this time! The folks on the ground at Delta at ATL were understanding, responsive and beyond professional. The head of the crew at the D gates (where Rudy was lost) gave up his Saturday – without pay! – to bring in a search dog and handler team. This is critical – it’s not when things are going right that we see what a company is all about… it’s how they handle situations when things go wrong. Delta showed some corporate integrity in this situation. If the only thing that has gotten better in the last four years – since Jack was lost – is that the airlines are responsive when an animal is lost, then at least some progress has been made. 5. I have said this privately for some time now, and I will say it publicly now… as far as animals and travel, IF YOU WOULDN’T DO IT WITH A THREE-YEAR-OLD CHILD, DON’T DO IT WITH AN ANIMAL. If you’re not ok with putting your 3-year-old on a plane without someone she knows to watch over her, don’t do it with a dog or cat. If you’re not ok with putting your 3-year-old in the cargo hold of the plane, don’t do it with a dog or cat. Cats and dogs generally have the vocabulary, intelligence and emotional response patterns usually seen in 3-year-old humans… so if you wouldn’t do it with a 3-year-old, don’t do it with a dog or cat!! I’m glad Rudy was found, and that he is now safely ensconced in his home with his family. And I hope everyone involved learned something from what happened. Rudy’s the only one who’s off the hook at this point… the rest of us have a responsibility to do what we can to prevent this from ever happening again. Download our FREE Pet Flight Safety Checklist! (This will open the Checklist in a new window... just right click (or control-click on Mac) to download and print from Adobe Reader on your computer. Safe travels to you and your pet!! … a non-profit organization to make sure that what happened to Jack will never happen again. We seek to educate, change policy, and be a resource for anyone who is concerned about the safety of pets during air travel.